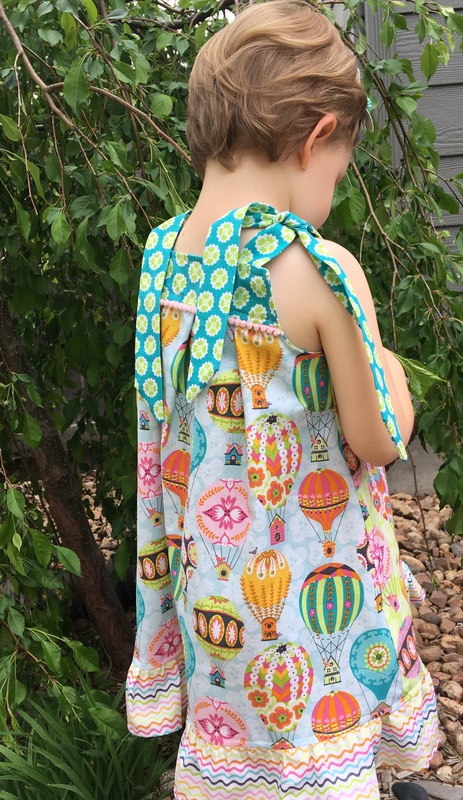 I subscribe to a blog by The Cottage Mama and recently received a free pattern and tutorial for the Summer Picnic Dress. 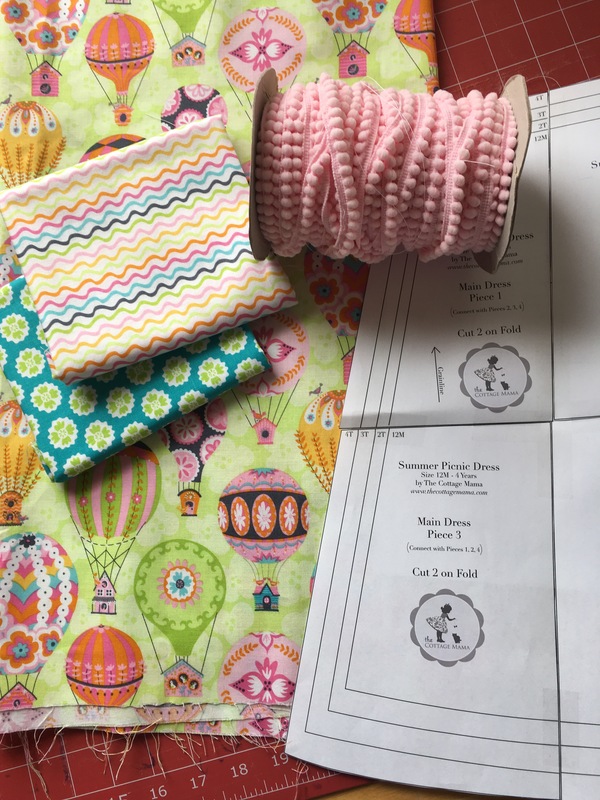 It’s just absolutely darling and I decided it was perfect for my stack of fabric from Blend Fabrics called Flutter & Float by Ana Davis. 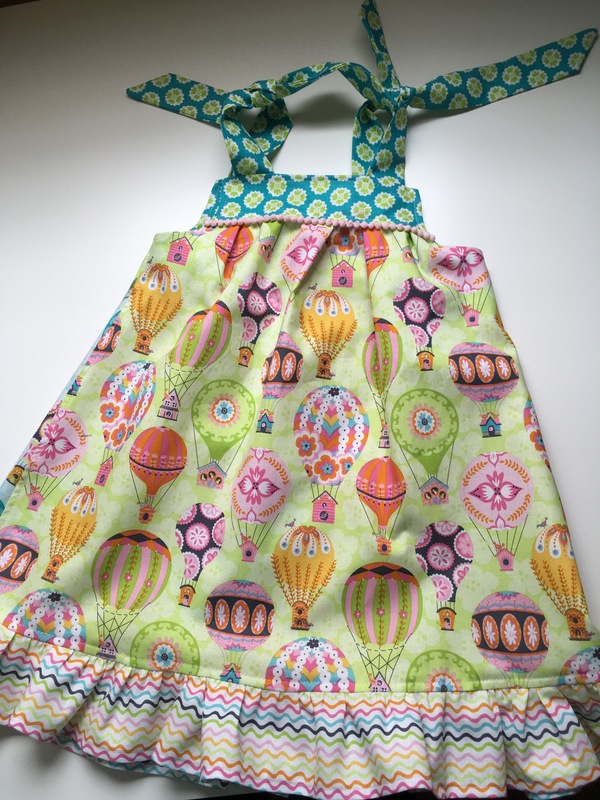 The whimsical rainbow swirls, hot air balloons, and modern flowers were bright and cheery…and complemented my yearning for hot Summer days and lazy afternoons watching the clouds go by. 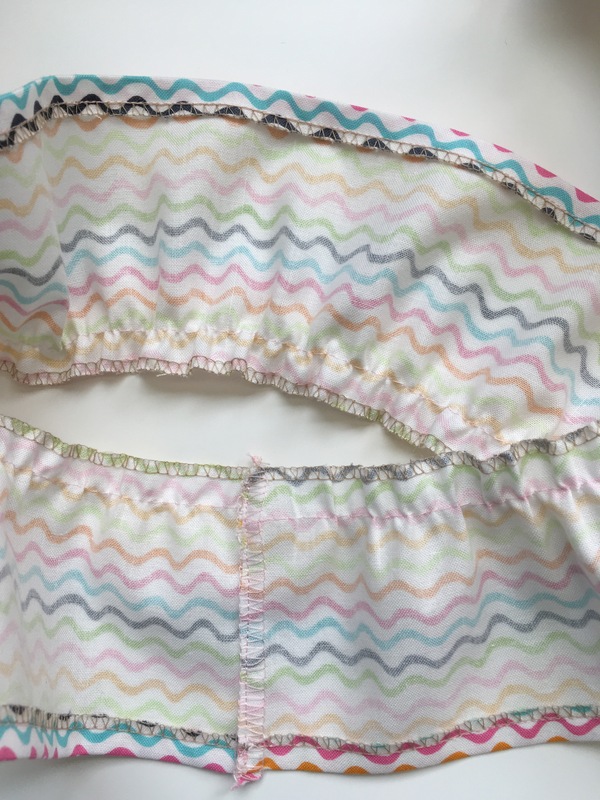 It was a very simple pattern with easy to follow instructions (up to a size 4) and tutorial….see link. 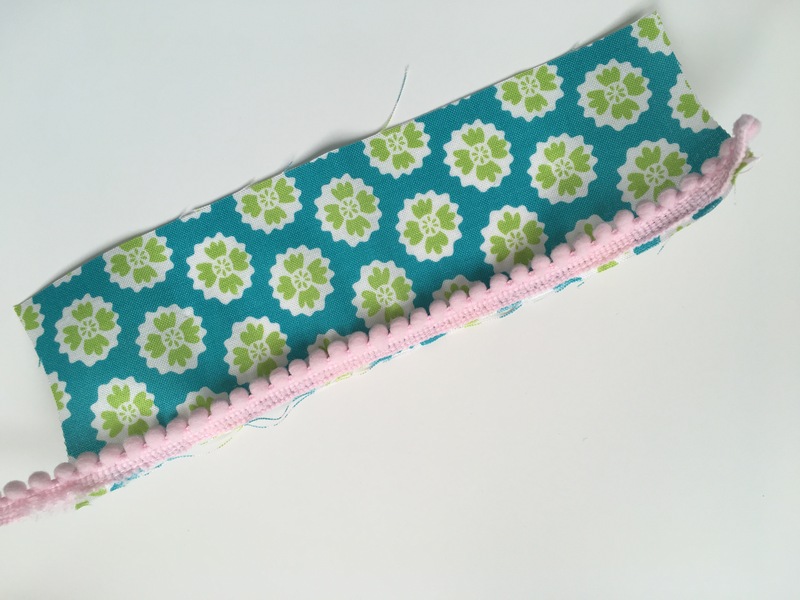 I may just have to make a sweet headband to match! 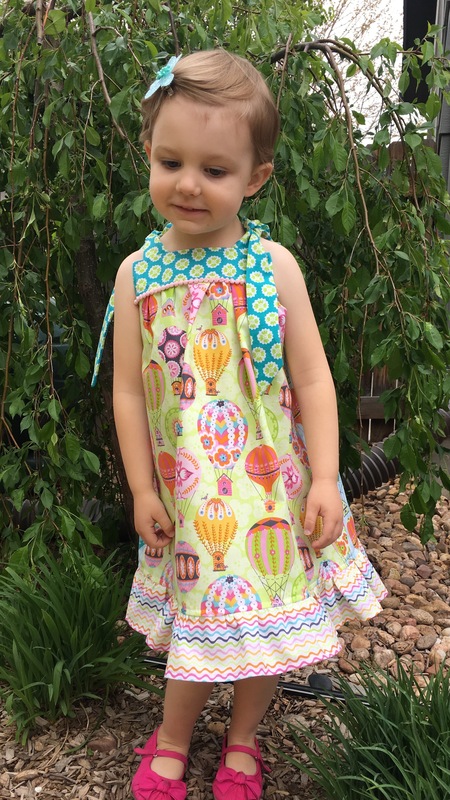 After cutting out the few pieces from the pattern and deciding which fabrics to use out of Flutter & Float I decided on making the dress slightly reversible…since the front and back were exactly the same, I made one side blue and the other green…quite cute considering my little Emma loves to make her own choices! 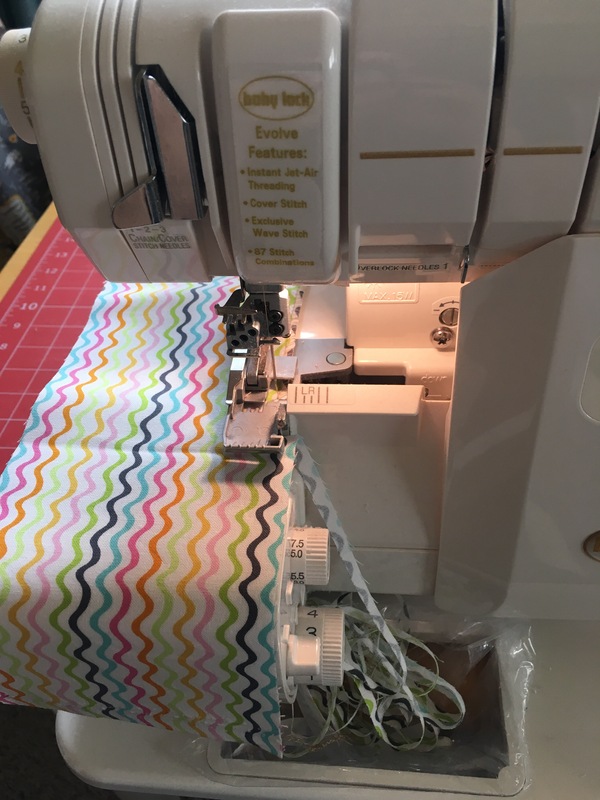 I was also excited to get another chance to test my skills on my new serger machine…I’ve been a little hesitant using it as it’s got a lot more bells and whistles than my last one and can be quite intimidating to say the least…. In the end it worked out so well…I serged all exposed edges giving it such a polished look. 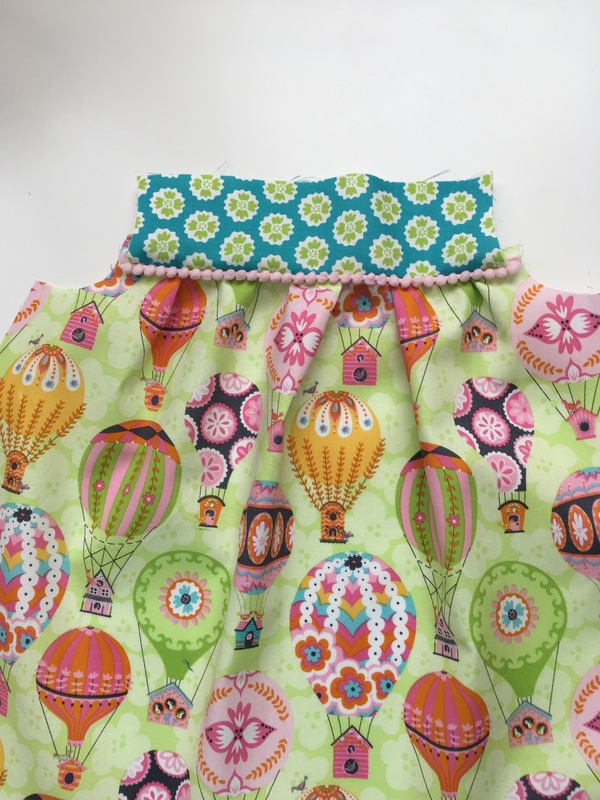 I also decided to use a small Pom Pom trim on the facing which was a fun added touch my daughter just loves! 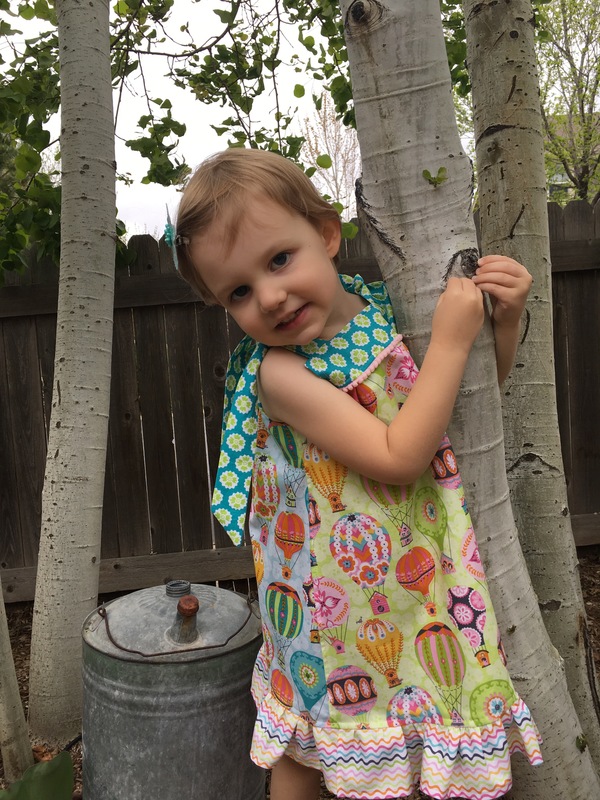 My youngest finally got another handmade dress just for her! 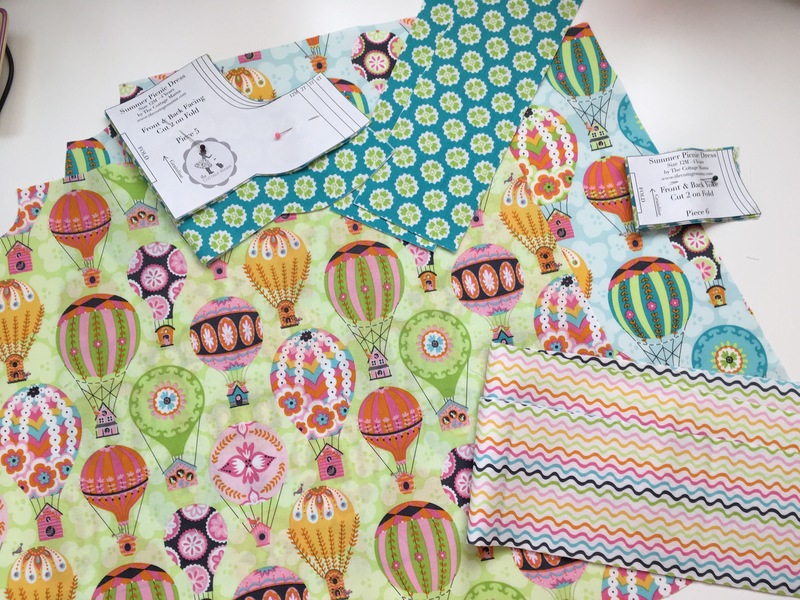 Previous Post A is for Apron! Perfect in every way! 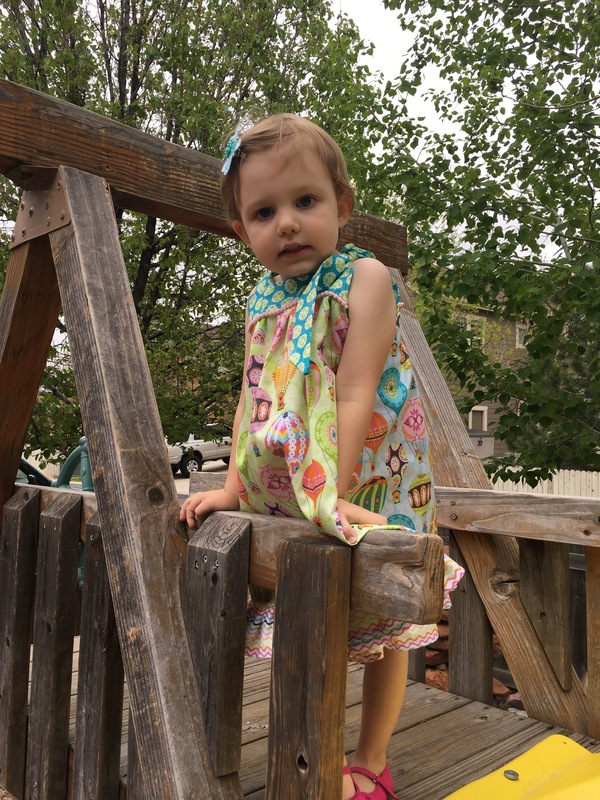 Emma is beautiful in your new creation!